Eagle Pointe at Cahoon Plantation in Chesapeake, Virginia is an active adult community that will be comprised of 501 various traditionally styled residences, which include attached villas, condos and single-family homes. The lots average about 0.15 acres in size providing homeowners the benefit of space while still being easily manageable. Buyers can currently select from both resale and new construction homes. Since only one property owner per household needs to be 55 or better, active adults and retirees who like to have their children come home from college are very welcome. With resort-style amenities and the availability of a large variety of activities, residents can live life to the fullest and choose any activity level they desire. The spectacular centerpiece of this community is the gently-rolling 18-hole The Isles Golf Links, which provides an old-world European play wrapped up in modern construction. It features a smooth playing surface with few obstructions, wide fairways, stacked bunkers, limited water interaction and elevated fairway mounds to keep play challenging and interesting for all skill levels. The Bay Club, a spacious 10,000 square-foot private resort club, provides all the amenities needed to enhance an active lifestyle. Fitness options include using the heated outdoor and indoor swimming pools for solitary laps or group water aerobics, and utilizing the strength-training and cardiovascular equipment at the state-of-the-art fitness center. The grounds also include a gazebo park where residents can come to connect with nature. Residents can use the Bay Club for private parties. Designed by Eagle Construction of VA, a variety of residences that include condos, attached, and single-family homes that range in size from 1,602 to 2,994 square feet. Most of the plans offer sunrooms, cathedral ceilings, gas fireplaces, lofts and walk-in attics. The community also includes two-story villas. These have one or two-car garages, gourmet kitchens, foyers with hardwood floors, sunrooms, gourmet kitchens and nine-foot ceilings on the first floors. All residences have first-floor master bedrooms with baths, showers and walk-in closets. Residents of Eagle Pointe at Cahoon Plantation enjoy well-designed low-maintenance homes and do not have to worry about weekend chores. That leaves more free time to play golf and enjoy activities at the Bay Club like playing bridge, practicing yoga, learning photography as well as attending educational seminars and computer classes. Eagle Pointe at Cahoon Plantation has a variety of social clubs that evolve around special interests like wine, travel or reading that provide plenty of opportunities to get to know neighbors. An Eagle Pointe activities director also schedules events like shopping at MacArthur Center in Norfolk, fishing at Chesapeake Bay, and attending Broadway shows at the Kennedy Center. Close to lots of major urban centers, Eagle Pointe at Cahoon Plantation enjoys a sought-after location in proximity to historic Williamsburg and the lively Hampton Roads area. Chesapeake is a thriving city that has many restaurants, shopping centers and cultural attractions. Popular destinations in Chesapeake include the Oak Grove Lake Park, the Chesapeake Arboretum and the Chesapeake Planetarium. Nearby Norfolk and Virginia Beach provide additional options, including performing arts centers and museums. For history enthusiasts, Yorktown and Jamestown are only about an hour's drive away. The Bay Club - 10,000 Sq. Ft. There are plenty of activities available in Eagle Pointe at Cahoon Plantation. Here is a sample of some of the clubs, activities and classes offered here. The Vistas come in five floor plans that have three bedrooms, two bathrooms, and a one-car garage. These condos are great low-maintenance home options. Villa homes are offered in two home models. The Westport and Abbey floor plans have 1,870 and 1,897 square feet. These lovely homes have three bedrooms, two-and-a-half bathrooms, and an attached two-car garage. The Verandas are attached homes and there are six models that have 1,602 to 2,216 square feet of living space. These homes include three bedrooms, two or two-and-a-half bathrooms, and an attached two-car garage. The Carriages are attached homes that have between 1,616 and 2,425 square feet of living space with three bedrooms, two or two-and-a-half bathrooms, and an attached two-car garage. Cottages are single-family homes available on a resale-only basis. Homebuyers can find one of these floor plans in a previously owned home that has between 1,764 and 2,203 square feet of living space. These homes offer three bedrooms, two to three bathrooms, and an attached two-car garage. We LOVE Eagle Pointe... I'm not sure who or if Kristy E is even a real person? I looked for her name in our neighborhood directory and couldn't find anything close. Most of the facts that she is stating are simply untrue. My husband and I have lived in Eagle Pointe for 7 1/2 years and in that time, our condo dues have only increased by $7 (from $285 to $292). If we receive 3" of snow or more, our streets are plowed and a path from our front door to the mailbox is shoveled. The condo management company has always been responsive and timely to any items we've submitted. There is plenty of guest parking built in throughout the neighborhood and you can park on the streets anytime between 6 a.m. & midnight. And, in the 7 1/2 years we've been here, I have never known the outdoor pool to be closed other than for regular maintenance and during the off season. Moving to Eagle Pointe was one of the best decisions we ever made. Our free time is truly our free time as we do not have to fuss with exterior home maintenance and yard work anymore. Our home is lock-and-leave. We take care of the inside and can travel and not have to worry about the outside. The condo fee of $292/mo is a huge value for all that Eagle Pointe offers. Neighbors are friendly and always willing to lend a hand if needed. We built our home when we were 50 years old and have never regretted our decision. Twenty percent of Eagle Pointe homeowners can be under 55, but no kids under 18 are allowed which lends for a nice mix of ages. Come and check out Eagle Pointe for yourself and see what you've been missing! We have lived here for three years. The exterior of the homes are covered with mold, the lawns are terrible and full of weeds. The inside pool has been closed for months and now the hours of the outside pool have been reduced. When there is a snowstorm, driveways and walks arent maintained-its the homeowner's responsibility!!! The hoa fees are high and always go up. Very few community activities and very slow response from community managers. No guest parking because homeowners use their garages for storage and park in the driveways and guest parking permanently. Go somewhere else where seniors are catered. My wife tried to convince me to move here for years. Finally, one day I agreed to go and visit. I was sold after only being there for about an hour. Honestly, I feel like I wasted two years of my life just because I was being stubborn. I thought everyone would have been much older, but turns out, I am one of the older people here. 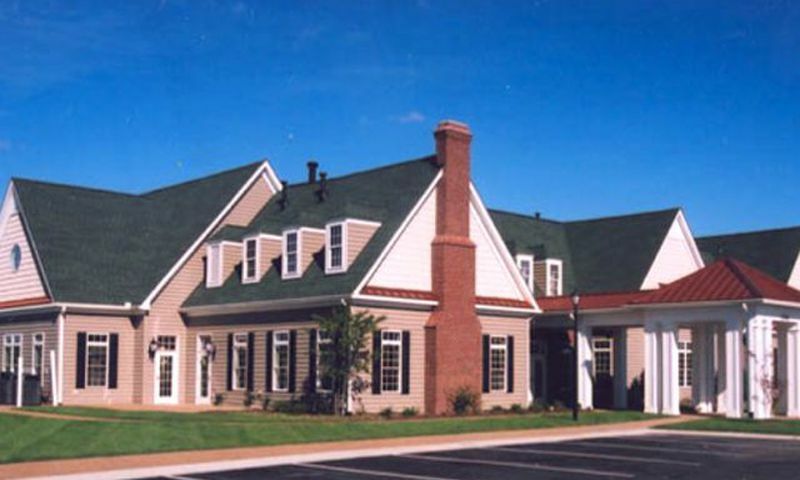 The residents are very active and we have an incredible clubhouse. Don't waste years of your life like I did. This was the BEST decision we ever made. We have everything we were looking for in a 55+ community. NO outside maintenance, close to excellent hospitals, culture, beach, boating, shopping to name a few. And the big plus is that people are very FRIENDLY from the sales staff, neighbors, etc. I love this area of Virginia! My favorite features of our condo here are the sunroom and the 3-sided fireplace. It's so nice to just sit by the fire or have coffee in the sunroom. My husband loves that it's a condo so he doesn't have to maintain the lawn! We have plenty of free time to enjoy the things we like to do and have even started a fitness routine. Moving here was great for our health! 55places.com is not affiliated with the developer(s) or homeowners association of Eagle Pointe at Cahoon Plantation. The information you submit is distributed to a 55places.com Partner Agent, who is a licensed real estate agent. The information regarding Eagle Pointe at Cahoon Plantation has not been verified or approved by the developer or homeowners association. Please verify all information prior to purchasing. 55places.com is not responsible for any errors regarding the information displayed on this website.